Any woman who has suffered from hot flushes knows that menopause can be a challenging time, complete with an array of frustrating symptoms. The quest to find a way to prevent or relieve hot flushes is not an easy one, particularly because there are so many physical and mental factors that precede this menopausal symptom. Hot flushes – also known as hot flashes – are very sudden and intense heat waves that a woman experiences during the menopausal transition. They can sometimes leave a woman's face quite red and hot. In addition, intense sweating may accompany hot flushes. Also, hot flushes can last for only a few seconds or they can continue for a few minutes. For some women who are just beginning to experience changing hormones, hot flushes may even occur very frequently – with several occurring in only an hour. The hot flushes can occur at any time, which is one of the reasons that women can struggle with them so much. Gabapentin is a drug that was previously approved for the treatment of seizures but new research has now indicated that it is not only useful for treating seizures, but it is suggested to be as effective as oestrogen in treating hot flushes in postmenopausal women. One of the reasons it may end up being favoured over the use of oestrogen is that it appears to lack the risks that come with oestrogen therapy. It is believed that oestrogen can increase a woman's risk of stroke and breast cancer. However, the gabapentin study did show that there were side effects such as headaches, dizziness and confusion. In this way, there are risks with any prescription treatment for menopause, which means that your doctor will have to help you find the most appropriate treatment for your risk factors and health status. While gabapentin may be right for you when it comes to treating your hot flushes, you can also try natural methods, some of which may replace drug treatment or work cooperatively alongside it. 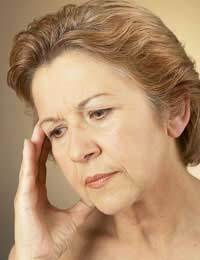 Some women find that how much stress they are experiencing during menopause affects the frequency and intensity of their hot flushes. You can try various stress-relieving treatments such as yoga or deep breathing exercises to help reduce your hot flushes. Other women may instead choose to take Hormone Replacement Therapy (HRT). However, as mentioned, this treatment does carry a number of risks and gabapentin may ultimately be a more appropriate choice, depending on your risk factors and current health and lifestyle habits. No woman enjoys having to deal with hot flushes but there are treatments available to help reduce your hot flushes. Gabapentin is one useful choice for women who wish to control their hot flushes. Hopefully, this treatment or one of the many other treatments for hot flushes will be successful in helping you with this uncomfortable but common symptom of the menopausal transition.